With ProSlideshow: Frame from Pixel Film Studios creating a stylistic slideshow has never been so fun and easy to do. Users can customize up to three layers textures overlays, select from various amounts of fully customizable slideshow template animations, enjoy key-frameless animation, and more all with a click of a mouse all within Final Cut Pro X. 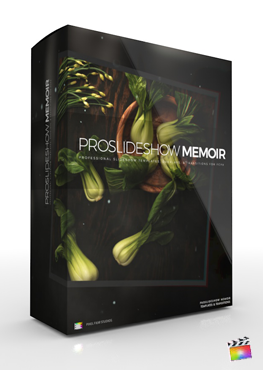 With ProSlideshow: Frame each user are given the tools and effects to create an stylized slideshow animation of their choosing with a click of mouse. Each user has the ability to select from a variety of fully customizable transitions, three-dimensional media slideshow templates, and effect overlays all within Final Cut Pro X. With ProSlideshow: Frame users have complete control over animation with no need to key-framing. Users simply set each layer’s end position, transition time, transition speed, and more. With ProSlideshow: Frame users have the ability to select from various speed methods such as constant, ease in, ease out, ease both, acceleration, and deceleration. 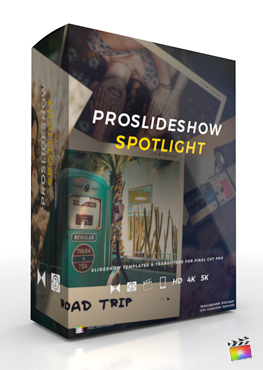 With ProSlideshow: Frame offers fully customizable stylization and animation all with a click of mouse saving customers time and money towards their next project. Each user has complete control over various speed methods, blur, frame, camera start position and rotation, mid position and rotation, end position and rotation, texture overlays, drop shadow, edge blur, blur radius, transition, time, and more all within Final Cut Pro X. With ProSlideshow: Frame was professionally designed to work seamlessly inside of Final Cut Pro X. As a generator and transition, each ProSlideshow: Frame preset can be dragged and dropped onto media and previewed in real time. With the published parameters found in the FCPX inspector, users have the ability to make further adjustments with just a few clicks of a mouse. I installed ProSlideshow: Frame and see a red screen similar to this. Where do I find ProSlideshow: Frame? Once the installation is complete, you can find ProSlideshow: Frame in the FCPX Generators and Transitions library. 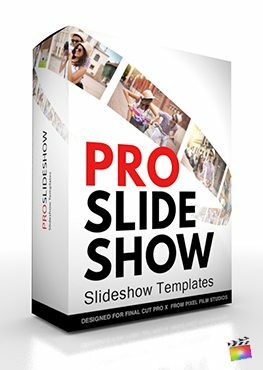 Where is the tutorial for ProSlideshow: Frame? The photo input is cropped. How do I fit it properly. You simply need to adjust the photo inside of the drop zone. You will find a tutorial on how to do this in the tutorials section.